If you support improving this bus line, make your voice heard at the MBTA’s community meeting Tuesday, February 12, 6-8 pm, at the Watertown Free Public Library. 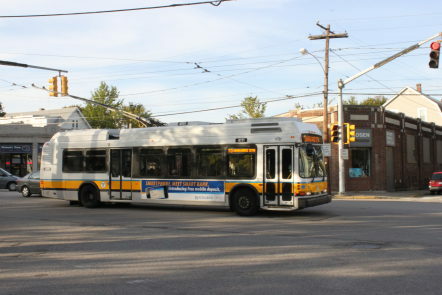 The MBTA’s Better Bus Project has recently completed proposals for improvements in bus services. Most important for Watertown riders is a long-awaited change in 70/70A service that should make the bus come on time and more often to those of us who ride it. Specifically they are proposing to de-couple the 70 from the 70A and increase the frequency of service down Main Street, Arsenal Street and all the way on to Cambridge. The new route 70A would operate only between North Waltham and Waltham Center. Route 70 would run a little more often and with a more consistent schedule that will finally allow people to plan their commutes with confidence. The T has contemplated such changes in 70/70A service for several years, and WTTF is delighted to see that they are finally moving ahead. WTTF and other local activists played an important advisory role in MassDOT’s 2016 Arsenal Corridor Study when these ideas were developed and thoroughly discussed. We’ve worked to keep them fresh on the mind of the MBTA ever since. Watertown riders need to make a good showing to let them hear our support. Attend the T’s community meetingthis Tuesday, February 12, 6-8 pm, at the Watertown Free Public Library. Express your opinion onlinehereandbefore March13th. All the proposals the Better Bus project has come up with arehere(a small change in the express bus route at Newton Corner is proposed, also!). According to the MBTA, ‘Better Bus’ changes will go before their board in April and if approved, we’ll start to see them take effect as early as fall 2019. As always, we thank you for your advocacy.